My sheep listen to my voice, says the Lord; I know them, and they follow me.” Jn 10:27. Lectors are men and women who serve at weekly masses and special liturgies by proclaiming the Word of the Lord to the parish community. Lectors have an appreciation of the Gospel message, understand the importance of the Ministry and are dedicated to effectively communicating God’s Message to His people. Lectors bring the living Word of God to the liturgical assembly. In and through them God speaks to the gathered faithful. The ministry of the Word, therefore, is treated seriously and with great dignity. The Word of God is not merely read but proclaimed. Effective proclamation involves the delivery of the message with clarity, conviction and appropriate pace.Training sessions are scheduled several times during the year. We invite and encourage everyone in the parish to consider this ministry. The commitment that is asked of a Lector is to serve at scheduled Masses, in which one would already be participating. Altar Servers are those who wish to serve God and the Church by assisting the priest during Mass and other special liturgical services throughout the year. Everyone who comes to liturgy has a significant role to play because each of us comes to celebrate as a community the great gift that God has given us in Jesus Christ. Altar servers are called upon to do a specific job. They become familiar with rituals that deepen their own appreciation for liturgy. Servers wear albs and are given the responsibility for carrying the cross and candles in the entrance procession. They are asked to hold the Sacramental book of prayers; help prepare the Lord’s Table and assist at the altar as the presider prepares the bread and wine during the liturgy. 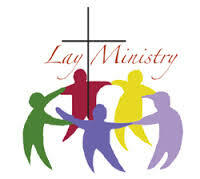 We welcome and encourage all youth in grades 4 and above, as well as adults, to serve in this ministry. Your participation as an Altar Server will highlight the ceremony that is so much a part of the liturgy that we celebrate. You will be serving God and your parish community. The Eucharist is the heart and center of the Catholic Christian Community. Inviting and training Eucharistic Ministers (baptized and confirmed men and women) is the goal of the parish that calls them to serve. Ministers of the Eucharist should be people of prayer who have a special love for the Eucharist. They assist in distributing Communion at Masses and bringing Eucharist to the sick as needed. Pope Paul VI described Eucharistic ministers as: The faithful who are special ministers of Communion must be persons whose good qualities of Christian life, faith and morals recommend them. Let them strive to be worthy of this great office, foster their own devotion to the Eucharist, and show an example to the rest of the faithful by their own devotion and reverence toward the most august sacrament of the altar. Immensae caritatis, 1973.The Eucharistic Minister serves a unique role in the liturgy. Jesus himself comes to us in Communion. The Eucharistic Minister serves the Body of Christ (the Church) by bringing the Body of Christ (Communion) to the members of the Body. Ministers of the Eucharist should in every way demonstrate by their reverence for the Eucharist that they truly believe that this is not just bread and wine, but the very Body and Blood of the risen Lord. Their manner of dress, their respectful silence, their grace-filled movement, and their care with the Sacred Species are observed by all in the congregation. One accepts this responsibility knowing he or she is willing to carry it out with deep faith and a deep and awesome sense of God’s presence. Training sessions are scheduled several times during the year. We invite and encourage everyone in the parish to consider this ministry. The commitment that is asked of a Eucharistic Minister is to serve at scheduled Masses, in which one would already be participating. Striving to create a welcoming atmosphere for all! The Greeters Ministry is a simple yet powerful way to foster a Parish Connection each and every week in order to create a more welcoming atmosphere at St. Joseph the Worker. Our goal is to use the individual gifts of our many parishioners to build a stronger sense of community and commitment to parish life. Greeters generally work in pairs to greet parishioners and distribute bulletins. They are the first faces that the faithful encounter as they enter the church and help to set the tone of a welcoming and friendly parish. Greeters are scheduled for specific masses according to their preferences. Please consider joining us in this simple, yet rewarding and very important ministry. Training and guidelines will be provided.